With all the rain we've had this summer, it's good to have some indoor activities in your back pocket. 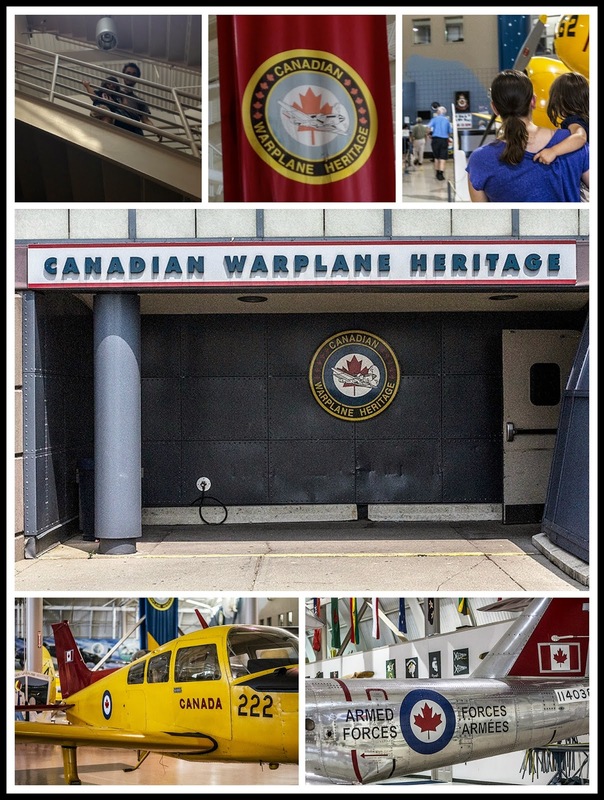 Enter the Canadian Warplane Heritage museum in Hamilton, Ontario. 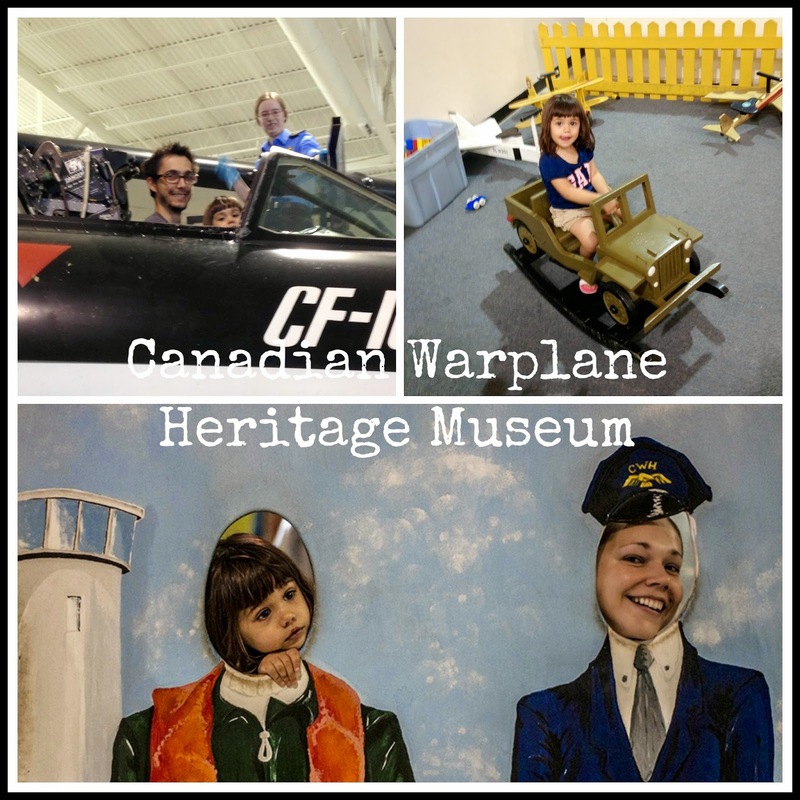 The Canadian Warplane Heritage museum is a working airplane hangar with many interactive displays where you can touch, sit in and learn about warplanes. There are also flight simulators for kids to experience what it would be like to be in a plane. Hannah enjoyed sitting in an Avro Canada CF100 MK 5D with Daddy, riding in a "jeep", and sticking her head through the photo cutouts to be a pilot with Mommy. I enjoyed learning about Canada's history when it comes to planes in the war. The volunteers who work at the museum are priceless - not only are they great with children, but they also bring the stories of the aircrafts in front of you alive. One volunteer told me about how Europeans would come to the Toronto Islands to learn to fly, and then return to their home country to fight in the war. While we were there, we also got to watch people restoring older planes - we even saw one plane start up and fly over us. We enjoyed a nice lunch on site, the cafe has huge windows to take in all the action outside the hangar. This museum is the perfect place for history buffs and airplane fanatics. Disclosure: My family were guests of the Canadian Warplane Heritage Museum for the purpose of this review. As always, opinions on this blog are my own. I would love to see the old WW2 planes and just about everything there. All of it!! I've never been. I am excited to see the Avro Lancaster. We loved the airplane museum in Ottawa, and would love to see this one, it's so much closer to home!